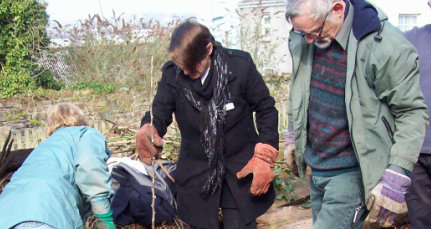 To help Bideford and its surrounding area become more resilient. To involve and support the community in local projects such as: growing and producing food, energy production and skill sharing. To promote sustainable living, learning and information sharing. To build a stronger community spirit by the above means.